We are situated down a private driveway which is nestled in 1.5 acres of garden. and Hot Water Beach. Walk drive or ferry to restaurants and cafes. 5 - 20 minute walk. The cottage is separate from from our house with your own entrance and parking. An ideal place for two people to relax in. Boat parking and washing available. Shower and toilet in the bathroom. Towels and beach towels supplied. The use of a washing machine. Tea, Coffee and Sugar. Salt and Pepper. Cooking Oil. Kitchenette with a bench top oven which has 2 hotplates. Quiet location, set back off the road. Small private patio area for guest use, lovely to listen to the birdsong. Thoughtful touches such as magazines, books, welcome drink and chocolate! Spades provided for digging pools at Hot Water beach. Great fun. Stylish coastal-themed lounge area with table and sofa. Very relaxing stay with host, Jo, on hand if needed.. Totallly private and self contained cottage. From the moment we first entered this property we could tell we would have an amazing stay. Firstly the grounds are like a park with absolute privacy and very well,appointed cottage, with little extras, thanks Jo! We loved the proximity to both Flaxmill Bay and Cooks beach and daily walks up Shakespeare lookout! Loved going back to our happy place in the Coromandel! 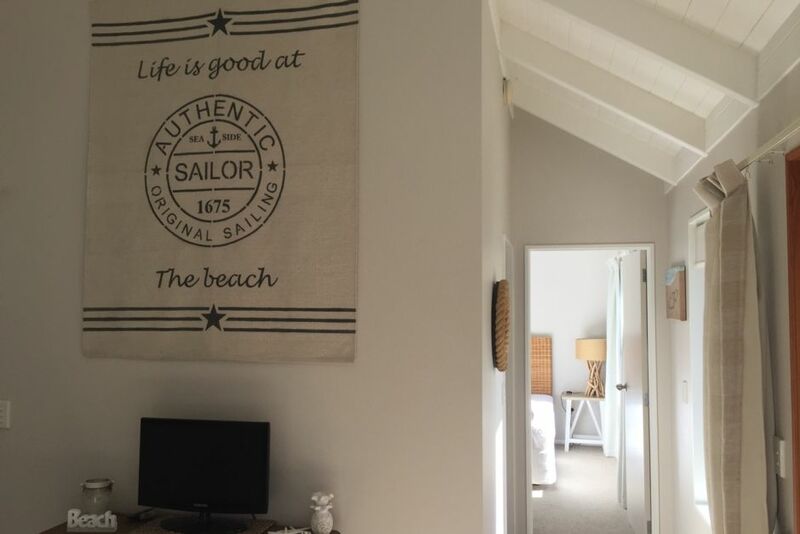 A perfect cottage for a short stay.Well equipped with everything provided,and very helpful welcoming owner.Excellent location near beautiful beaches. Very impressed with Flaxhaven lodge, attention to every detail made our stay special. Thank you Alison for your lovely comments. I hope you enjoy the rest of your stay in New Zealand. Safe travels.